Planned as a tune-up before the CCI** at Fair Hill, Courtney and Havasu Canyon competed at Intermediate. 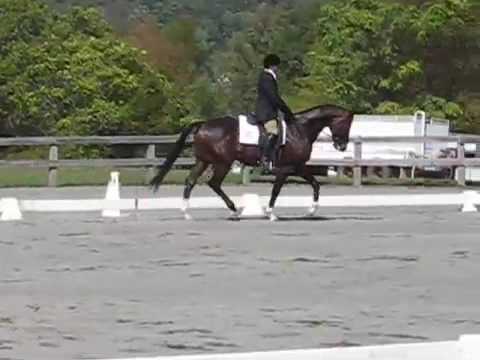 They put in a great dressage test placing 1st out of 19 horses. They then went on top jump a clear stadium round to maintain their standing. While most of their cross country round was very good, they did have some trouble at a tricky downhill combination to add some jump penalties and fall out of the ribbons. Unfortunately Havasu suffered an injury leaving our plans for the CCI** in doubt. Courtney competed with Scout at Training. They also had a very good dressage test and clear stadium and cross country rounds to finish 6th out of 27 horses.